Since launching baskets and bundles, we have had a massive uptake in these portfolios due to their ease of access, cost effectiveness and trust in the providers. With an EPIC 3708 EasyEquities yousers investing in bundles and a further massive 7934 yousers investing in baskets, it becomes very evident that our community #Loves baskets and bundles. It has really helped investors answer the question: "What should I Invest in?". These bundles give a kind of a co-pilot approach to investing: the creators make all the decisions and buy and sell stocks to ensure your portfolio holds the best stocks according to their strategies; while you as the investor have complete transparency as to whats happening in your portfolio. Warren Buffet, Peter Lynch and Martin Zwieg are just a few investment geniuses which Validea strategies follow when it comes to creating their portfolios. 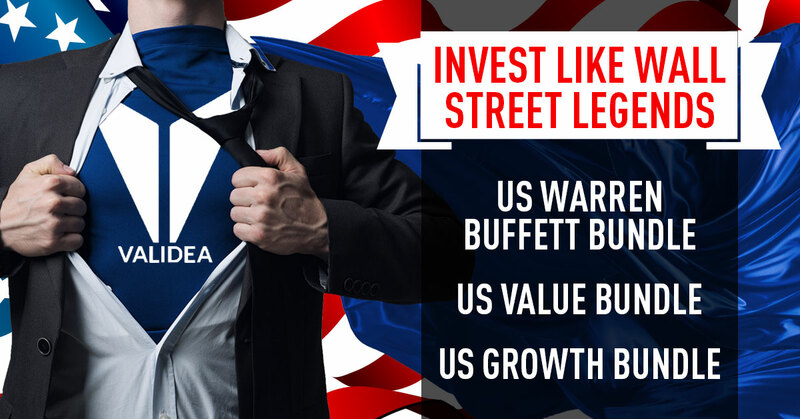 And would you know it, we've just added four Validea bundles which aim to replicate the investment strategies of these Wall Street Legends. Let's Have a look at each of them. These bundles, both available in your ZAR (SA Stocks) and USD (US Stocks) account, aim to invest in stocks with an extremely long-term horizon. In fact, Buffett has held some of his investments for decades, and he's said that Berkshire's favourite holding period is "forever". Buffett doesn't try to capitalise on small day-to-day stock market movements; instead, he focuses on a company's business, because he knows that, over time, the stocks of firms with strong businesses and good long-term prospects are likely to rise considerably, regardless of what those stocks are doing today or tomorrow or next week. To find those strong businesses, this strategy goes back as far as a decade into a company's history, so only stocks with consistent long-term track records can pass this methodology. The late Benjamin Graham may be the oldest of the gurus which Validea follow, but his impact on the investing world has lasted for decades after his death in 1976. Known as both the "Father of Value Investing" and the founder of the entire field of security analysis. A key concept behind his approach was the "margin of safety" -- the difference between a stock's price and the value of its underlying business. Graham focused on stocks with high margins of safety (meaning their stocks were selling on the cheap compared to what he believed to be the intrinsic value of their businesses), because their already low prices offered significant downside protection. Zweig has managed both mutual and hedge funds during his career, and he's put the fortune he's compiled to some interesting uses. He has owned what Forbes reported was the most expensive apartment in New York, a $70 million penthouse that sits atop Manhattan's Pierre Hotel. Zweig is a growth investor with a serious conservative streak. To pass his strategy, a stock must meet a slew of earnings-related criteria, showing that its earnings growth is: at a high rate over the long haul; persistent over several years in a row; accelerating in more recent quarters; and sustainable, i.e. driven by sales growth, not cost-cutting measures. Check out this WEBINAR to find out more about the model portfolios, Validea and these investment gurus and their strategies YOU can follow.